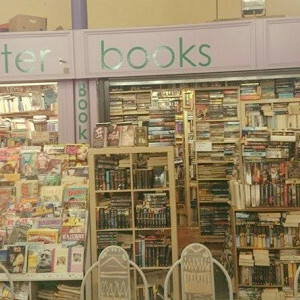 In a run down, dated and neglected indoor market, Inter- Books is the treasure trove of the building. 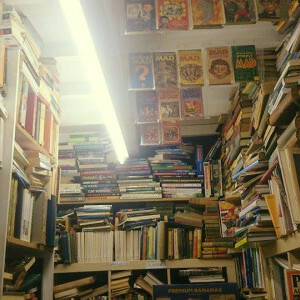 Every nook and cranny from floor to ceiling of the small stall is filled with second hand and rare books.It even overspills into the walkway of the main market, tempting passersby with rotating stands, luring them into the dated yet delightful book booth. 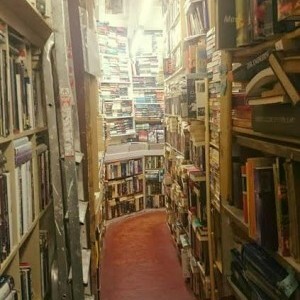 There is just one problem: Not many people seem to appreciate the store, for every time I have been in there I have been the only person lusting over the ancient books. 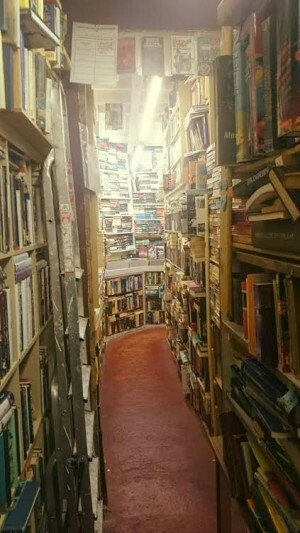 With this, I urge those who are in the local vicinity to take a wander through the market and stop at this wonderful bookstore; it’s easily the best store not only in the market, but in the town centre. 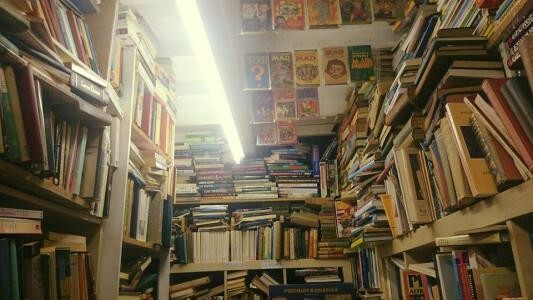 Note: This is just one of the many incredible finds I have found: A 1853 Book Club edition of The Complete Works of William Shakespeare.